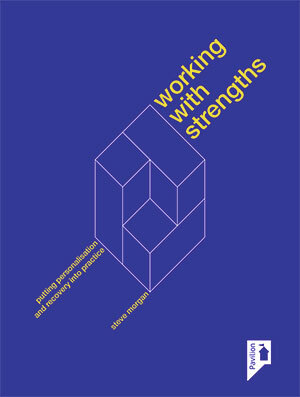 I have facilitated more sessions than I care to enumerate over the years in the form of presenting a coherent set of principles to underpin the necessary attitudes and behaviours required to develop good practice in working with peoples’ strengths. They meet most frequently with positive reactions, but… not always! It is all too obvious. It is far too simple. It is just positive re-framing, without any change in the fundamental delivery of services. It is difficult to challenge deep-rooted attitudes with only a few words. The real test of these challenges is for an experienced ‘strengths’ practitioner to spend a longer spell of time working alongside the doubters to demonstrate the differences of approach; or to closely monitor and constructively critique the practice of those who believe they already do it in their work. I felt this way in my own practice, when Charlie Rapp and Wally Kisthardt first introduced it to the service I worked for in 1991. My suggestion to those who feel they already practice a strengths approach to their work is: You might think you do… I thought I did, until I did… then I realised I wasn’t… so you aren’t either! Furthermore, I have also co-hosted strengths workshops with an experienced service user consultant trainer, where the audiences were encouraged to be equal numbers of service users and their care coordinators. A number of practitioners alluded to practicing this way early on in the workshop, only to have the claims unanimously refuted by the service users. One outcome of the workshops was a much stronger mutual understanding of how to take the ideas forward in the working relationships. This is how I like to think I should work, but how can I work with this approach more completely? How can these principles become more integrated into the wider team/service?I essentially consider the ‘principles’ to be a set of rules governing the consistency by which a range of practitioners may apply a strengths approach to their work. These would include attention to the quality of the working relationship, through acceptance of ‘difference’, commitment to individual needs and wants, collaborative and friendly styles of working that cross the artificial boundaries commonly favoured by most mental health services; patience to work with the often slow incremental pace of change, creativity and optimism. ‘These are my principles, and if you don’t like them… well, I have others.” [Groucho Marks].